24/7 Personal Care Halifax | Services | ANSON CareGivers Inc.
ANSON CareGivers Inc. is here to help. We offer reasonable rates for a wide variety of services from our dedicated nurses and caregivers. All our staff of professionals are bonded and insured. 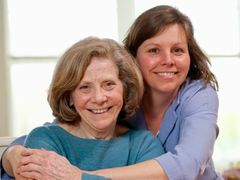 We offer short or long term care at homes, hospitals or nursing homes for 24 hours 7 days a week. Our service rates depend upon the level of care needed for a particular client or patient. Every client and patient is different; hence, it is not always feasible to quote the service rates for a particular patient on the telephone or in response to a written enquiry. To learn about our free nursing assessment, contact us today.